Germans marked the 300th birthday of Prussian king Frederick the Great’s on Tuesday. 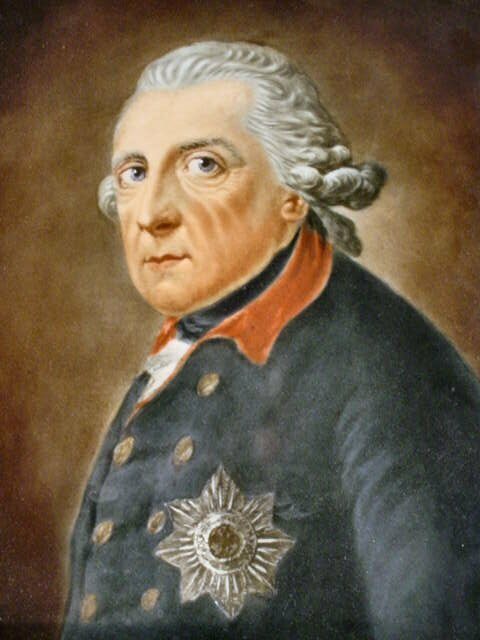 His admirers visited his grave in Potsdam to lay flowers and potatoes in honour of the enlightened monarch.Frederick, who died in 1786 and known as Friedrich der Große in German, is one of Prussia’s most celebrated rulers. Besides modernising the country’s bureaucracy and being a patron of the arts, he is credited with introducing the potato to Germany’s staple diet. On Tuesday morning admirers gathered at his graveside in the Sanssouci palace. Amongst them was the current prince of Prussia, Georg-Friedrich, who placed a simple white cross made from white carnations on his famous ancestor’s coffin. A large bow, emblazoned with a picture of a crown and the initials ‘GFS’ – the initials of his given name and that of his wife, Sophie – was also laid down to mark the occasion. Brandenburg’s state premier Matthias Platzeck was also present. He chose to honour the late king with a wreath baring the iconic red Brandenburg eagle. The ritual was watched by locals, as well as members of traditional societies who wore Prussian military uniform for the occasion. Birthday celebrations will continue throughout the day, with a remembrance concert in the Gendarmenmarkt concert hall in Berlin. German President Christian Wulff and Berlin Mayor Klaus Wowereit are expected to attend the ceremony. In a press release, Wowereit described the legendary leader as "one of the most defined characters of the eighteenth century." "Today, we can still benefit from learning about him so I encourage everyone to join the celebrations in Berlin and Brandenburg," he added. In the evening, revelers will celebrate at a large party in Potsdam, where the king used to live, until the small hours. Despite his wishes, Frederick was buried in the grounds of his ancestral Hohenzollern castle in Baden-Württemberg. In 1991 his dying wish was granted, however, and his coffin was moved to his personal residence Sanssouci palace in Potsdam, Brandenburg. He was finally laid to rest in the palace’s crypt, along with his beloved dog.